電腦領域 HKEPC Hardware » 平板電腦 » 有冇人用過 飛思卡爾9.7寸 IPS 電容屏 平板電腦? 有冇人用過 飛思卡爾9.7寸 IPS 電容屏 平板電腦? This Freescale im515 9.7 IPS is my 3th MID I bought for my friend. 1. FW IS UPDATED TOO SLOW ---- 3 MONTHS ONE FW , MANY PROBLEM CAN NOT SOLVE. e.g. 3G, G-sense, Flash compatibility, (PLAY online Flash over 20MINs must hang in browser, you need to close browser to watch the online flash movie again. The latest FW YOU CAN DOWNLOAD IS ONLY 22/1/11. 2. Many game can not play. 3. Too slow TVB/YOUtube play back ------------------- the slowest I even see. I bought over 10 MID for my self and my friend, this imx515 is the slowest. 4. VERY easy to have application error and hang in start up ,the imx515 solution is very unstable, you need to re-flash again may be every 1-2months. 5. The "I-pad" looking connection cable for usb and charging is easy to "bad contact ", but this cable is not a real "i-pad/i-phone" cable, it is very difficult to buy in HK. 6. The only merit is the IPS panel ------------- if your buy it only for IPS, remember my suugestion ----------- go to Malata T8 or Samsung SPV210 solution 9.7 IPS. 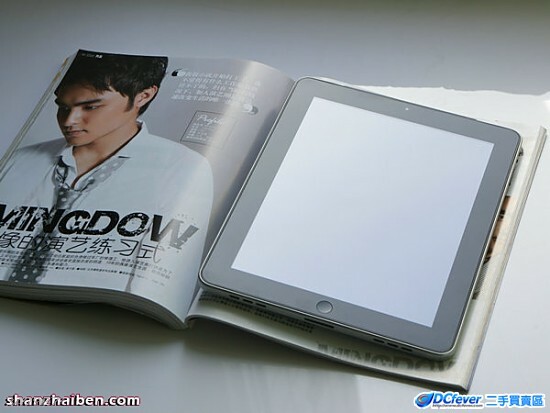 Owing to SZ Universcad 2011, this i-pad looking Samsung 9.7 IPS was released in SZ but not easy to ship to HK. I try this SPV210 one at SZ, this one is 400% better than imx511 solution. REMEMBER : TRUST me, don't buy this freescale 9.7 or you must be regret . GMT+8, 2019-4-19 01:11, Processed in 0.029921 second(s), 3 queries.